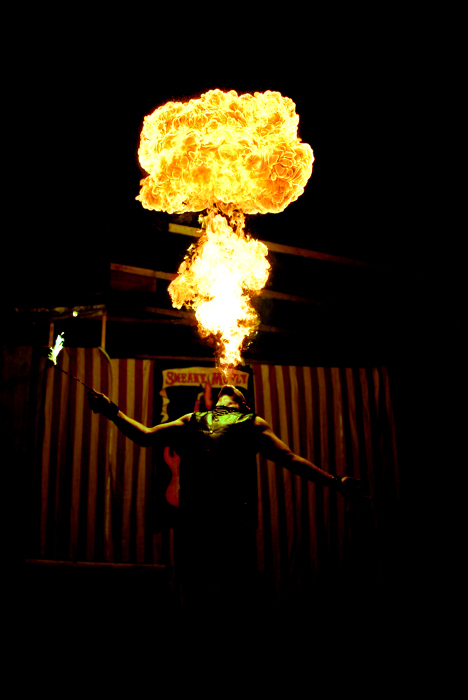 Unifire Theater is the premier fire performance troupe of the Southeast United States. We are based in Asheville, North Carolina and renowned along the East Coast as one of the oldest established fire arts companies. Is your event needing unique entertainment? Are your friends and family ready to be thrilled and amazed? When Unifire Theater performs at your event no person will leave without being inspired by our amazing fire artists and dancers. See our Performance packages and Call or write us to schedule your special event. Your wedding reception, corporate party, or festival guests will thank you for choosing unique entertainment. Unifire sets the standard in safety practices, so you can rest easy without any concerns for your venue or attendees. Our commitment to safety doesn't undermine the illusion of danger so as an organizer your guests can be captivated while you are privately aware of our top notch safe practices. As seasoned fire professionals we are experts in nearly every form of fire arts, fire breathing, fire eating, poi, double staff, fire hoop, contact staff, buugeng, and a few you may have never heard of. For those inspired to learn we offer classes, group workshops and demos. All classes begin with safe to use practice flow tools without fire. This means you can learn without the risk of burns. Contact us for class schedule and information. Unifire is dedicated to preserving fire arts and promoting fire education. Email us for any questions you might have. Follow us on Facebook for pictures, news, and fire related information.